In separate transactions over the past few months, our colleagues at the Massachusetts Division of Fish and Game (DFG) acquired a total of 52.3 acres that further expands the Taunton River Wildlife Management Area in Bridgewater. As the accompanying map depicts, the newly acquired parcels directly abuts both Great River Preserve and land DFG acquired in 2017 with Wildlands’ assistance. They are primarily wooded, include a mix of upland and wetland habitats, and include portions of Beaver Brook, a Taunton River tributary. Wildlands helped DFG acquire the additional acreage by agreeing to pre-pay a designated escrow agent, whose services were required to coordinate the timely closing of each acquisition. DFG subsequently reimbursed Wildlands for the escrow agent’s fees. One of the most important dimensions of Wildlands’ land protection work involves helping facilitate acquisition projects for partner entities. Project facilitation can take many forms, from bidding appraisals to preparing grant submissions to serving as a liaison between different stakeholders, and now, pre-paying for the services of an escrow agent. Encompassing almost 600 acres along both sides of the upper Taunton River in Bridgewater and Middleborough, the Taunton River Wildlife Management Area includes over two miles of river frontage, multiple rare species, scenic open fields, an extensive network of hiking trails, and Wildlands’ Great River Preserve. Since its inception in 2009, Great River Preserve has become one of our most visited and appreciated preserves and is a critical component to the largest assemblage of protected open space along the upper Taunton River, the only National Wild and Scenic River in Southeastern Massachusetts. Meanwhile, in Marshfield, we amended our 7.7-acre Furnace Brook conservation restriction (CR) to encompass an additional 3.9 acres, protecting land owned by the Town of Marshfield. Subsequent to the completion of the original CR in June 2017, the Town acquired parcels directly adjacent to the west and northeast, respectively. One of the additional parcels was acquired with the assistance of Drinking Water Supply Grant Program (DWSP) funds. Administered by the Commonwealth of Massachusetts’ Department of Environmental Protection (DEP), the program provides funding to municipalities to help acquire land that is significant for water supply protection. 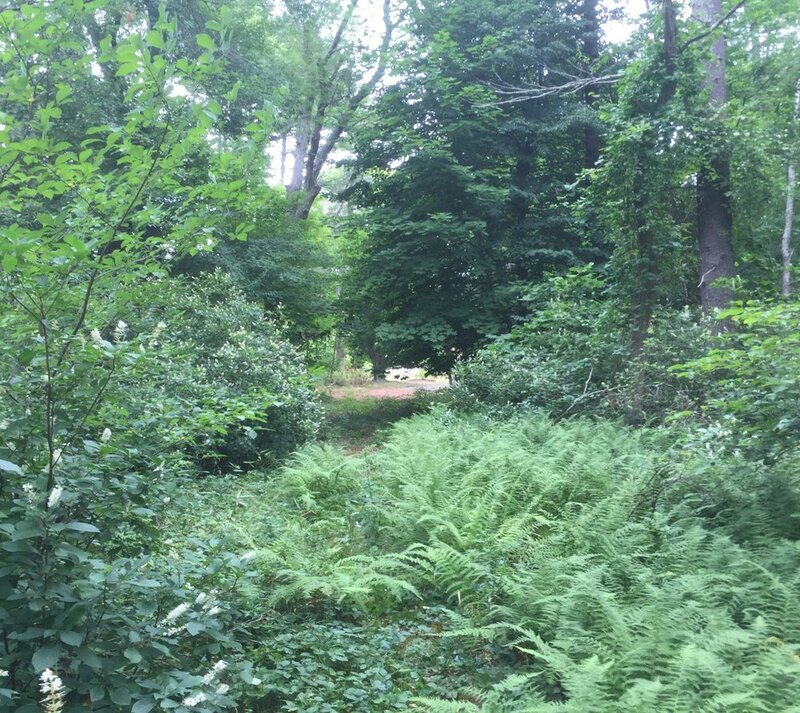 The land now comprising the Furnace Brook CR was an ideal candidate for DWSP funds. It is entirely within a DEP-designated Zone II Water Supply Protection Area, is situated approximately 600 feet from a Zone I Wellhead Protection Area, and is within a High-Yield Aquifer Area. The Furnace Brook CR also possesses other conservation values. It includes extensive frontage on its namesake brook and is within Natural Heritage and Endangered Species Program-designated rare species habitat. From a larger landscape perspective, the Furnace Brook CR is part of an expansive corridor of protected open space in Marshfield. It is within the town’s 200-acre Furnace Brook Watershed Area, which in turn, connects with the 800-acre Carolina Hill Reservation to create one of the largest contiguous open space assemblages in Marshfield. Thank you, as always, to Marshfield Open Space Committee Chair, Karen O’Donnell for all of her considerable efforts to advance the CR amendment to completion and thank you to Joan Pierce and DFG for further expanding the protected lands along the Taunton River.